All this tinkering sounds exhausting to me. I’m still fishing the original #3.5 orange level line I bought 3 years ago. I’d guess there are probably better options out there, but optimization has never been my goal. I found something that seems to work so I have no desire to fool with it. I am curious if my illustration is accurate of your level lines. How straight can you get yours ironed out? This is about nuances that I feel that I am missing in level line. I am not try to make not a commentary on angler’s personal choices. A seven fish day is a good day for me. I do believe any line will do, but at the same time also am interested in feeling the strikes that I am missing. Strikes that as I note I would expect to feel, and that are validated with my last outing. I too still own all the lines I have ever purchased. Different material, different weights, differnent lengths, and different colors. They all have utlility…it is fun to experiment. No different than with rods or flies. I own a good number of rods…so they all end up in the rotation. Furled lines are great beginner lines, but they also have utility beyond beginners. There are days where that extra weight comes into play. I like heavier lines when its windy. Furled seem to anchor better in water because they have more surface area. Heavy flies turn over easier with a heavier line. They are also much more visible. I fish greylight a lot and sometimes those thin level lines are just impossible to see. I have seen footage of some seasoned japanese tenkara anglers using what looked like furled line. Seems like furled lines have a beginner status attached to them. Thats fine with me, I am not hung up on it. My tinkering might seem unnecessary, but I am just trying to solve a problem that I am experiencing. It is not as if I have been given a good solution from anyone. Like you Rob. I fish one line during an outings unless there is some condition that requires an adjustment. I do have some favorites to fish. I really like the nylon and flourocarbon level lines for a lot of presentation . They are far more delicate. And its enjoyable to tune my presentation skill with those lines. If it wasn’t for the memory waves in the line and the sensitivity lost, I would probably just consider sticking with different weights of LL. Excuse the awful photo but this is how the first couple of feet of line look simply pulled off the spool and stretched. Pretty straight by my books. Nothing on the end of it, just the line itself. I can get them pretty straight using the stretch method. Not ruler straight but straight enough for me. There is one of my lines for some reason, that won’t straighten out entirely at the end knot where I tie on the tippet. It always has a very slight curve in it. Doesn’t affect the way it fishes though. Hmmmm. That is definitely not what i am getting. I must be doing something dumb. I will try some fresh lines and use your methods. Peder may be right. I might be winding too tight or something. Thanks everyone for helping. I will try to narrow down where i took the wrong turn. My experience is the same as Rob’s…fairly straight when stretched, except for the knot end, which always has a little curl. After a handful of casts on a given day, I know longer notice coils or curls in the main part of the line. For the record, I fish dry flies probably 75% of the time, so strike detection is a total non-issue for me. When I do nymph or use wets/kebari, I would say that visual strike detection results in more fish than me feeling the fish on the line. 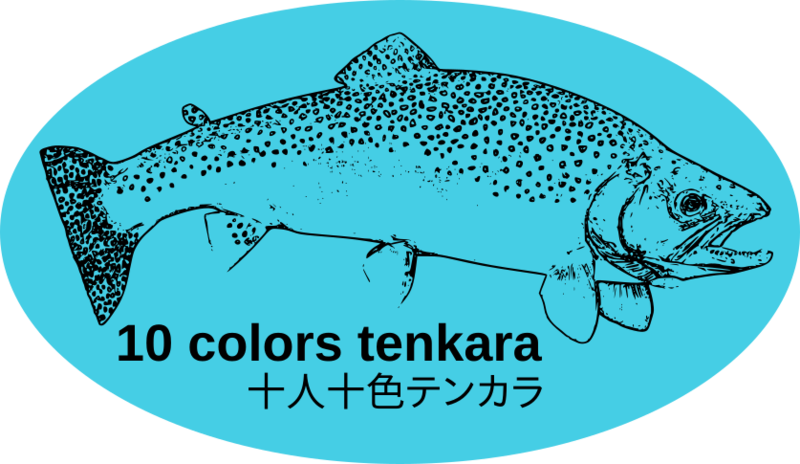 Not sure whereabouts in the USA you live but as you appear to Tenkara fish in the colder part of the year I wonder if temperature has anything to do with the ‘stiffness’ of your level line? 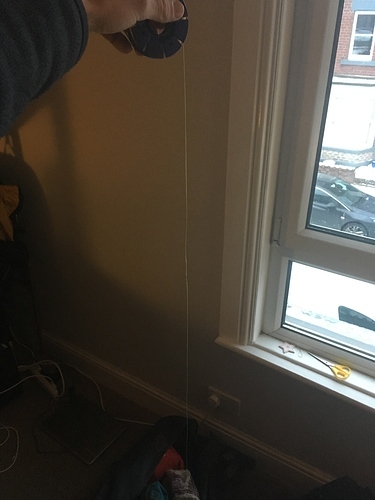 Looking at @duncanp photo of his line straight from the spool, he lives in the UK where it is considerably milder than your Winter climate even though at the moment we are in a cold spell, However that photo is taken indoors which will be warm. Thanks david. It may have something to do with it. Most of my winter has been below 0 celcius but have been targeting mornings that are just above freezing. I am starting to think peder hit the nail on the head with coiling the line too tight in storage. I have been using the smaller cards and as i reflect on how i wind them…there is more tension than necessary. Rob was kind enought to throw me a bone and suggested using a heat gun over replacing the lines. I just did that to a couple of my lines with a low temp setting and it really ironed them out. Great tip Rob!!! I owe you big time. Now time will tell if i can just prevent the memory from getting as bad as it was. Thanks for sharing your thoughts and experiments with us @Gressak. Except for 1 spool that had some Yamatoyo line that I bought 5 years ago, @duncanp’s photo pretty much shows what my line looks like as well, after stretching and without a lot of tension at that. The spool I reference, I feel it’s pretty much stretched to it’s limits. When checking all my lines a couple of weeks ago, I noticed some abrasion and a nick on it and disposed of it. Seriously!? That was just a theory! I hadn’t got around to trying it but it seemed to make sense. Glad it worked. Yeah rhe stubborn coils ironed out. Heat gun on low with one of those wrap around reflector nozzles. There was one line that was beyond help but did improve. I did all 7 of my level lines. 6 i find acceptable now. We will see what happens next time i take them out. I will have to be gentle with them from now on…hahaha. I hope this works out as single strand lines are far better in winter as they hold no water and cannot freeze.